Today is my son’s 16th birthday. This day not only brings memories of the birth of my first child, but also of the weather that was occurring outside our hospital window that afternoon in 1998. 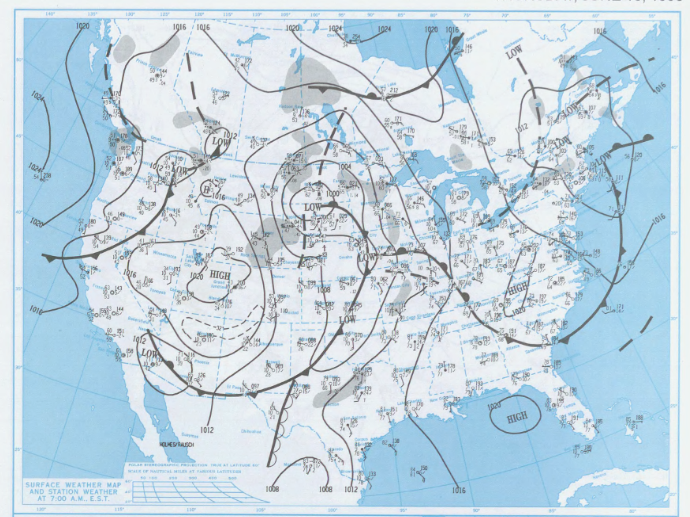 An area of low-pressure was moving slowly across the Red River Valley that day triggering pockets of heavy rainfall. 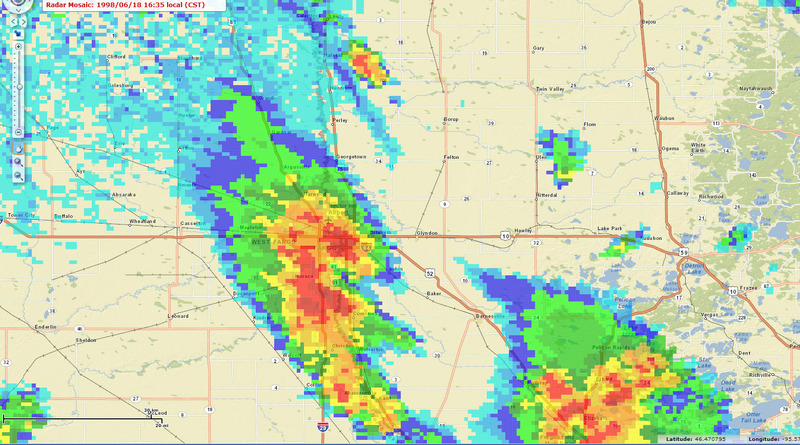 One such area moved over Fargo Moorhead late that afternoon producing torrential rain over the course of a few hours. By early evening anywhere from two to four inches of rain had fallen over the metro with an official total of 3.03 inches at the airport. The quick burst of rain flooded streets and filled the underpasses with water causing major traffic headaches throughout the city. Those travel hazards kept me stuck at the hospital for quite sometime before I could finally venture home and phone my family and friends with the good news (no cell phone in those days).